If you’re in need of a replacement garage door for your home in Nashville, Tennessee, the only name you need to know is 31-W Insulation. We have been the home improvement company of choice throughout the Southeast since 1972 and are pleased to offer top-of-the-line garage doors and installation services to homeowners throughout the region. Our top priority is the satisfaction of our customers, and we are proud to hold an A+ rating with the Better Business Bureau. Durable – Amarr® garage doors are built to last and feature a durable steel construction. Safe – Featuring an innovative hinge design that safeguards against finger and hand pinches, these garage doors reduce the risk of injury while in motion. Efficient – With several different options for insulation, you can choose the level of efficiency that’s right for you, based on how you choose to use your garage. Attractive – From traditional styles to carriage house designs, our garage doors can be customized to suit any aesthetic and come in many different colors and woodgrain finish options. 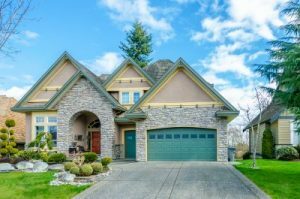 The professionals at 31-W Insulation will be happy to help you sort through all your options to pick out the garage door that’s perfect for your Nashville, TN, home. Then, you can count on our team to handle the installation with expert care and precision. And once we’re finished, you’ll have a brand-new garage door that will enhance your home’s curb appeal and function flawlessly for years to come. Contact 31-W Insulation today for more information on our garage door replacement services. We are proud to offer our services to homeowners in Nashville, TN, and all surrounding communities.